Three new console bundles, a controller worthy of a chicken dinner, and new options for the Xbox Design Lab made their debut in Cologne today. If you’ve been having the itch to pick up an Xbox One console to get ready for the impending release of Battlefield 5, Microsoft has you covered after announcing a trio of console bundles at their Gamescom event in Cologne, Germany today. PUBG fans were also thrown a bone with the reveal of a special edition Xbox One gamepad featuring digital camo and an exclusive trigger grip design. The new Xbox One X Gold Rush Special Edition will be the star of Microsoft’s Battlefield 5 bundles. The 1TB Xbox One X console features a slick paint job that fades from brown to matte charcoal with a matching matte charcoal controller. A copy of Battlefield 5 Digital Deluxe Edition, Battlefield 1943 and a month’s subscription to Xbox Game Pass and EA Access are also included. The other bundles contain regular Xbox One S or One X consoles, a copy of Battlefield 5 Deluxe Edition and a month of Xbox Game Pass. The Gold Rush Special Edition bundle will cost $499.99. Pricing for the other bundles is not yet known. 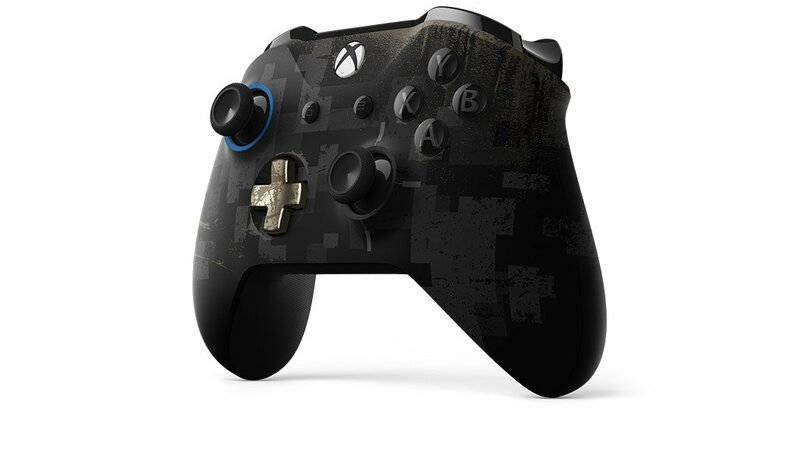 Microsoft also had new hardware for PUBG fans in the form of a new limited edition Xbox One S gamepad featuring a black digital camo paintjob, a custom trigger grip, and colored highlights around the left control stick and d-pad. The controller will be available October 30 for $69.99 from Microsoft’s web store. The Xbox team also announced new options for controllers customized via the Xbox Design Lab. Five new camo colors and five new shadow colors have been made available. Controllers customized with these new finishes will cost $80, while those made with the regular finishes will cost $70. These options are live on the Xbox Design Lab right now. Disappointing, I thought they were going to launch the new elite controller.